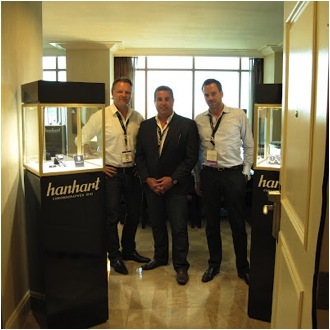 Hanhart is proud to announce Anthony Siragusa as their North American distribution partner. With over 14 years of industry experience, Anthony has proven his abilities to not only represent established brands, but to introduce and grow new brands in the North American market as well. Anthony has launched several brands in the USA, and the groundwork and philosophies that he has developed for those brands continue to contribute to their growth in the market. His commitment to both the retail partner and the consumer are clear in his belief in identifying and fostering exclusive retail partnerships that ensure success and growth for the brand and the retailer. "As an avid watch collector and vintage car enthusiast, I can honestly say that Hanhart combines my two greatest interests. I look forward to bringing Hanhart to North America."